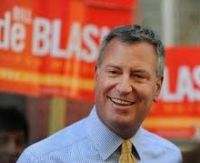 New York mayor Bill de Blasio, not a man often given to public emotion, could hardly contain his delight when he announced last year’s tourism statistics for his city, with 46m domestic and 12.3m international visitors setting new records. Business travellers contributed 12.3m of the total, of which 6.1m were meeting and convention delegates. The figures marked an increase of 1.8m over 2014 and 2015 was the sixth consecutive year of tourism growth. The UK remains New York’s largest international market, contributing almost 1.2m visitors last year. As with other cities, the most obvious sign of this momentum is the number of new hotels. New York claims to have the most active hotel development pipeline in the US, with nearly 6,000 new rooms added to the inventory last year, bringing the total to nearly 107,000. Even so, demand resulted in 4% growth, with the city selling a record 33.7m room-nights, 1.26m more than in 2014. The statistics may be dry but NYC remains most people’s idea of a fun place to be. De Blasio was happy to expand on that, describing it as not only the most exciting big city in America but also the safest, an accolade that once would have been hard to justify. In another key point, he highlighted possibly the chief reason for the Big Apple’s fame – the city, he noted, “continues to evolve, always offering fresh reasons to visit again and again, with more new developments on the horizon”. Notable on the hotel front is not only the number of new openings but the variety of the buildings. 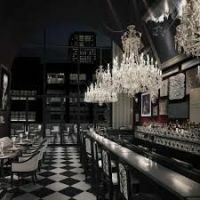 Newcomers include the Baccarat at W 53rd St. opposite the Museum of Modern Art, a crystal-themed wonderland full of sparkling glass and trendy furnishings and offering French-style luxury. Its sister, 1 Hotel Central Park on Avenue of the Americas, owned by the same group, takes its inspiration from Mother Nature, complete with foliage-covered exterior. Another 1 Hotel opens later this year at Brooklyn Bridge. Then there is the Knickerbocker overlooking Times Square, all Beaux Art elegance in a building dating from 1906. The New York Edition on Madison Avenue in the Flatiron District occupies another historic structure a few steps from Madison Square Park. There is even an example of the highly-fashionable YOTEL chain of minimalist “capsule hotels” on Tenth Ave at 41st St, which puts it less than a mile from Times Square. 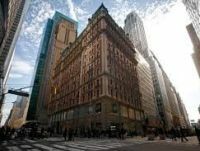 All this plus the old reliable stand-bys such as the stately Peninsula, two Ritz-Carltons, the Viceroy New York, Loews Regency, New York Palace, and so on. Travellers seeking options among New York’s visitor attractions face a similar ever-widening choice. Among major openings last year were the Whitney Museum of American Art, Ellis Island National Museum of Immigration, One World Observatory, Brookfield Place, Kings Theatre, High Bridge and the Staten Island Museum at Snug Harbor. And to make getting around even easier, the No 7 subway line was extended to Manhattan’s West Side at 34th St and Eleventh Avenue. The High Bridge between Manhattan and the Bronx opened as an aqueduct in 1848 and is the oldest bridge in New York. Last year, it reopened as a pedestrian walkway after being closed for more than 40 years. Offering great views of the surrounding area, it is a follow-up to the High Line, a 1.45-mile linear park on an elevated section of a disused railway track running between 34 St and 18 St and winding through old office and apartment blocks, many being converted to modern and sought-after places to live. With its newly-planted trees and shrubs, it provides a fascinating open-air journey through old New York. As for satisfying the inner man (and woman), New York has a reputation as one of the top places for eating out, so there’s no lack of choice. On my latest trip, I discovered some of the lesser-known eateries, including Bubby’s, a cheerful neighbourhood restaurant at the southern end of the High Line at 73 Gansevoort St. Artie’s Deli on Broadway between W 83rd St and W 84th St is the genuine Jewish article and more fun than its better-known cousins, and for something different and exotic try Cha Chan Tang, a cash-only Chinese diner at 45 Mott St in Chinatown and a real find.